A court in Senegal has ordered former Chadian President Hissene Habre to stand trial for alleged war crimes, torture and crimes against humanity. Judges at the Extraordinary African Chamber said there was sufficient evidence against Mr Habre, who is in custody in Senegal. The court was set up by Senegal and the African Union to try Mr Habre after his arrest in 2013. His trial will mean the first use of universal jurisdiction in Africa. Mr Habre, now 72, is accused of thousands of political killings during his 1982-90 presidency, which ended when he was deposed by the current Chadian President, Idriss Deby. He denies the charges and refuses to recognise the legitimacy of the court. In 2008, Mr Habre was sentenced to death in absentia by Chad for leading an armed rebellion in the country earlier that year. The trial is expected to begin in May or June. It will be held by a three-member panel: two Senegalese judges and a foreign lead judge from another African Union member state. Jacqueline Moudeina, lead lawyer for the alleged victims in the case, said: "After so many years, Habre's victims are now on the verge of seeing justice done for what they have endured." Clement Abaifouta, a political prisoner during Mr Habre's rule, said that "we are finally going to be able to confront our main tormentor and regain our dignity as human beings". 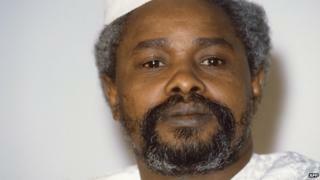 Dubbed "Africa's Pinochet", Mr Habre was first indicted in Senegal in 2000 but the country's courts ruled at the time that he could not be tried there. He was charged by Belgium with crimes against humanity and torture in 2005 but Senegal refused four extradition requests.